Wouldn’t you love to see through your horse’s eyes? We all want to know what our horses are feeling and what we can do to make them more secure and happy. That’s especially true on a long road trip, when there are several potential opportunities for horse discomfort. Unfortunately, until telepathy is possible, we’ll have to make do with what we’ve got. Tools like trailer temperature monitors can help us make crucial decisions for our horse’s health and comfort on a long haul. Endurance rider Jo Christensen saw this for her own eyes recently on a cold road trip through Montana. Her story caught our eye, and with her permission we’re sharing it here. If you’ve ever wondered whether you should blanket your horse to keep it warm on winter roads, you’ll want to read on to find out what she learned. Below is an abridged version of Jo’s story. Read the whole post here. I hung the sensor in a mesh bag (good air flow) about halfway up the side of the wall in the trailer that encloses the rear tack room. I didn’t put it on the roof (heat rises) or near the floor (cold air sinks). My trailer is a 3 horse slantload, and I put it in the stall that did not have a horse in it. It was not hanging on an exterior wall. My trailer is not insulated- no living quarters, just a standard small dressing area in the front. The trailer did have about 3 inches of hard encrusted snow insulating the roof-this snow stayed the entire journey. The side windows could not be opened- they were encrusted with ice- however we opened all three roof vents to their maximum extent. When we left our house in the Bitterroot, the temp inside and outside the trailer both read 20 degrees. Along our route, outside temps dropped as low as 14 degrees. At the same time, temps in the trailer NEVER dropped below 39 degrees. For the vast majority of the journey, the trailer was holding at 44 degrees. Temps inside the trailer were ALWAYS OVER TWENTY DEGREES WARMER than the outside. The Blue Ridge Trailers team recently took a trip from Virginia to South Carolina with a temperature monitor in our horses’ trailers. We similarly noticed that even leaving at 7 a.m. in 20-degree weather, the trailer got warm and toasty pretty quickly. So What Does This Mean for Your Own Road Trips? First of all, it’s very easy to monitor temps in your trailer and I would highly encourage everyone to do it! Secondly, I cannot believe how fast two horses could heat up a 3 horse trailer in very cold weather and keep it warm. I never dreamed that horses radiate that much heat. And to think I had been considering blanketing them. Of course the need to blanket and other things might be different if your horses are body clipped or your trailer is different. And of course this is an enclosed gooseneck, not a stockside trailer. But rather than just guess what might be going on back there and whether it is appropriate for your clipped horse (or sick horse or…?) just go get a temperature monitor and find out! Like Jo, our sales associate Julie Williamson reiterated that every horse and every trailer are different. Rather than relying only on a temperature monitor before you blanket your horse, she advised, use it as a tool so you know when to put a physical hand on your horse and assess how warm it is. Ultimately, the key is to be aware of your environment and actively checking in with your horse. 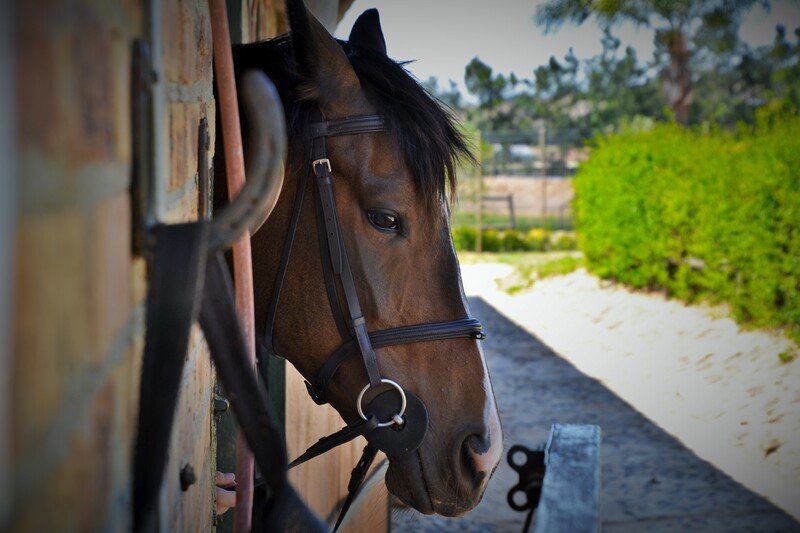 Don’t assume that what you feel and see outside your truck window corresponds to how your horse is feeling. Want more expert trailering insights? Subscribe to the Blue Ridge Trailers monthly newsletter.